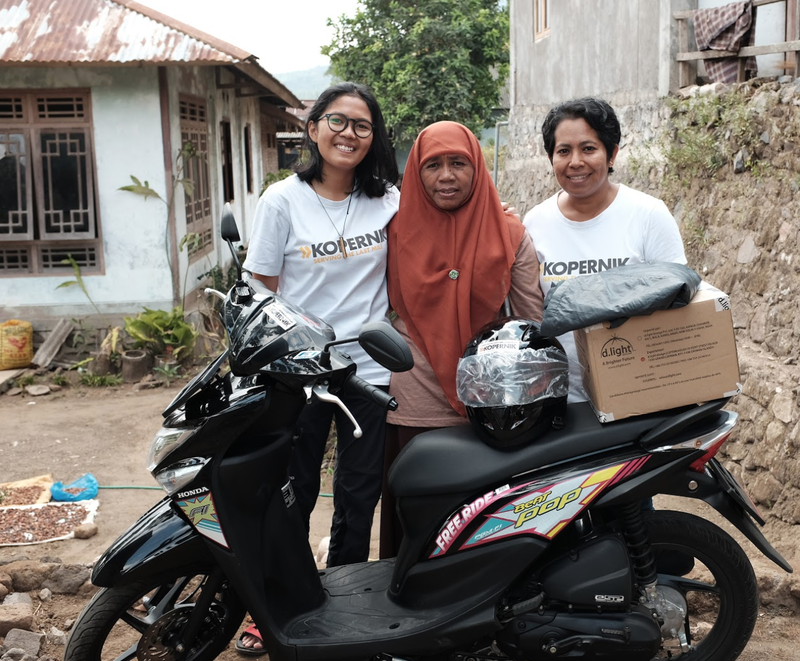 In August, we ran two different sales campaigns to promote the sale of clean energy technologies in Eastern Indonesia. One campaign was a newspaper advertisement, in which a photo of solar lights was featured in a local newspaper directing readers to a location where the technology could be purchased. The other campaign gave additional financial incentives to a network of 244 sales agents and enrolled the high sellers in a competition to win a motorbike. Promotions can often be costly and the margins in developing markets are often slim, so we wanted to understand the cost-benefit of running such initiatives. Overall the two campaigns had a positive result on the sales. During the campaign month, the sales agents sold over 300% more technologies as compared to average monthly sales of 760 in the prior 4 months. 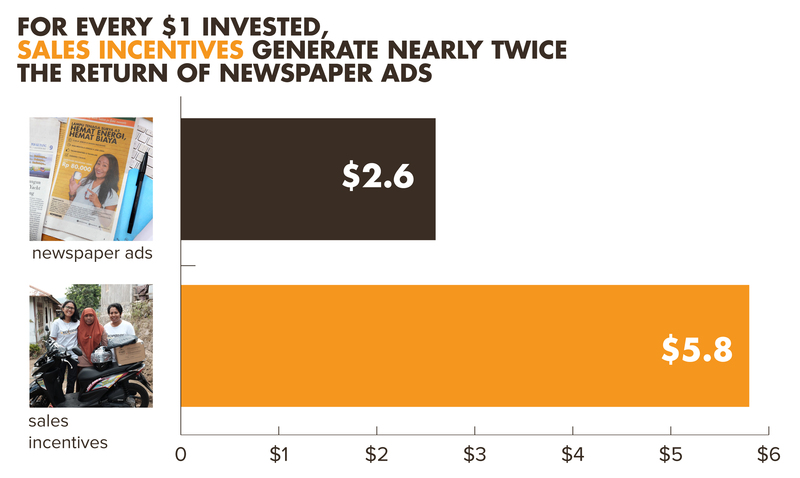 In terms of the relative return on investment of the two campaigns, we found that for every $1 invested, sales-based incentives to our women sales agents returned $5.8 in sales vs $2.6 for a local newspaper advertising campaign that led the readers to a location where they could purchase the technology in their local area. This may be because when it comes to converting leads into sales, women sales agents have shown to be more effective at making a sale than the expensive advertising that reached a greater number of people but resulted in fewer sales. Have you had any experience with running successful promotional campaigns for products designed for the last mile?